My monthly hormones have returned from their extended pregnancy/breastfeeding hiatus and are attacking my poor skin with extra enthusiasm. Sore-feeling spots that brew just beneath the surface and an oily t-zone, but at the same time I have a bit of sensitivity and a tendency towards redness that means I have to treat my face with kid gloves. So to speak. 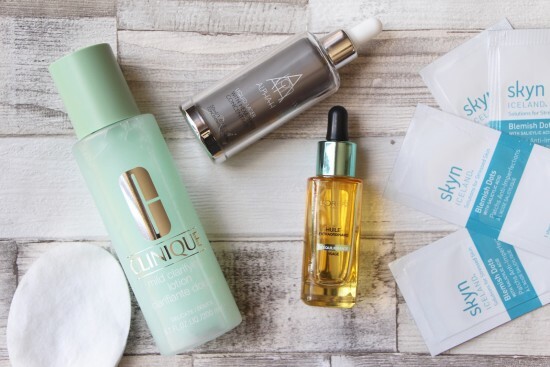 Here are the products I’ve been relying on to placate my angry, temperamental skin – this isn’t so much of a “routine” as a few supplementary skincare things that I’ve been swapping in as an emergency measure. I’ve used all of them (apart from the Blemish Dots) on non-hormonal skin too, so I’m by no means suggesting that these are purely PMT face-savers; they’re all-round top picks. 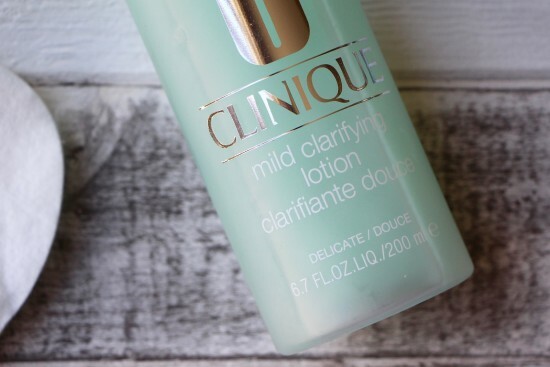 Clinique’s Mild Clarifying Lotion (£16.50 at Amazon here) is just brilliant. Swipe it on after cleansing to very gently exfoliate and unclog the skin without stripping the absolute bejeezus out of it. As someone who looks upon the other Clinique Clarifying Lotions with something bordering on abject horror, this one is a bit of a surprise: the formula is soothing on sore skin and an easy pre-serum/moisturiser/oil step that takes seconds to do. Just pour a bit onto cotton wool and wipe. 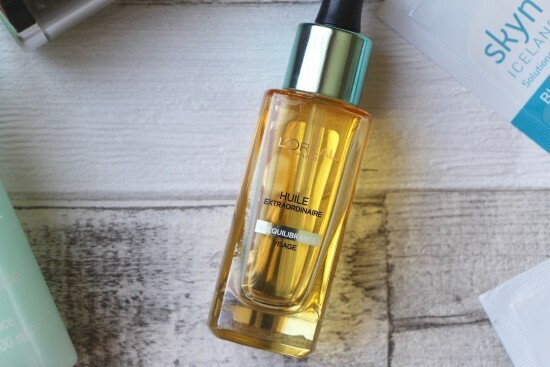 The Extraordinary Rebalancing Facial Oil from L’Oreal Paris has been a fixture on my bathroom shelf for quite a few months, now; it does a great job of moisturising (as you’d expect) but also – somehow – seems to stop my t-zone from being quite so oily. It’s a lightweight, non-greasy formula and so sits just as well beneath makeup in the daytime (give it a good massage-in) as it does on a cleansed face at night. The formula is lovely (no mineral oil, for those who look out for that) and the ingredients list rivals those of some of my far, far more expensive oils. It’s £13.33 here. A while ago I raved about the Blemish Patches from COSRX: emergency spot plasters that stop you from picking and squeezing and help to heal the pimple faster. 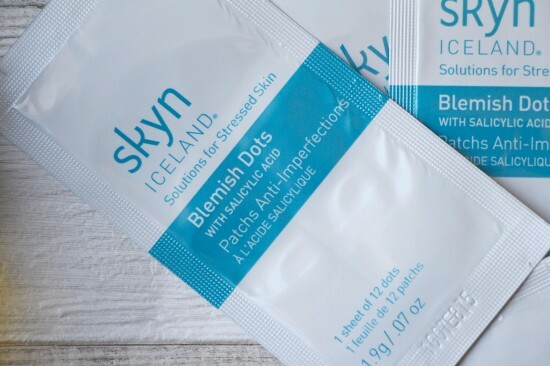 The Blemish Dots from Skyn Iceland are the same sort of idea, except that instead of just forming a barrier they contain the spot-fighting ingredient salicylic acid so you’re actively treating the blemish as well as protecting it from grubby fingers. I think that the patches are slightly thinner than the CORSX ones, too, so perhaps less visible if you want to keep one on during the day. Though overnight is more ideal! You can find them for £17.50 at Marks and Spencer here – quite pricey if you compare the little dots to a bottle of spot treatment gel, but I think very effective. And M&S are currently offering a free skin set worth £15 with every Skyn Iceland purchase, so that softens the blow somewhat! 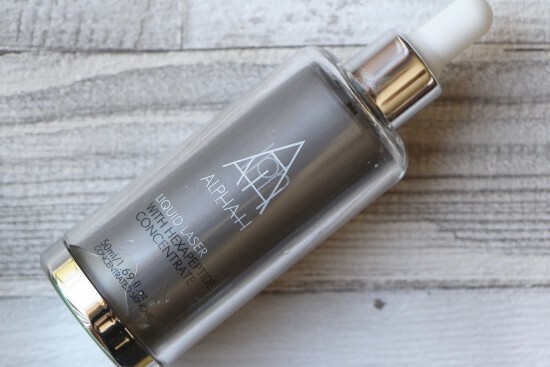 The last weapon in my current anti-PMT-skin arsenal: Liquid Laser from Alpha-H. I’ve mentioned this a few times now, but it’s a great one if you want a serious moisture injection without having to layer on thick, heavy creams. I like to keep everything light and clean-feeling when I’m in that “everything feels grubby and unclean” stage of the month, and this is great if you want an overnight treatment that sinks straight in and feels fresh. It’s a bit of a powerhouse concentrate, leaving the skin plumper and brighter without the potential risk of causing breakouts. I also find it to be reasonably gentle – not too tingly – which is important for me when I’m trying to keep my skin on an even keel. You can find Liquid Laser at Cult Beauty here – it’s £47.